Michael Hoy, a successful Russian merchant, had the monument erected to commemorate the visit to Britain in 1814 of ‘His Imperial Majesty Alexander the 1st, Emperor of all the Russias’ - this is recorded on the north side of the monument. After Michael Hoy’s death, the house was occupied by William Dawes - a British commissioned officer. 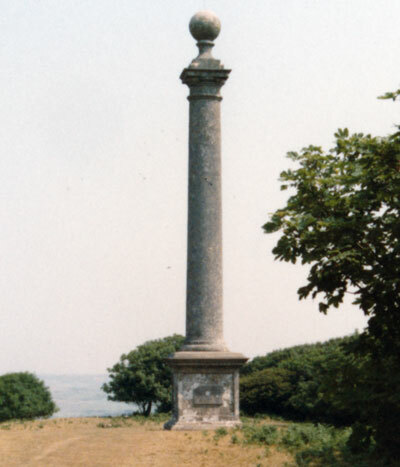 During the Crimean War, Dawes had an inscription added to the south side of the monument as a tribute ‘in Honour of those brave men of the Allied Armies who fell on the Alma at Inkermann and at the siege of Sevastopol AD1857’.